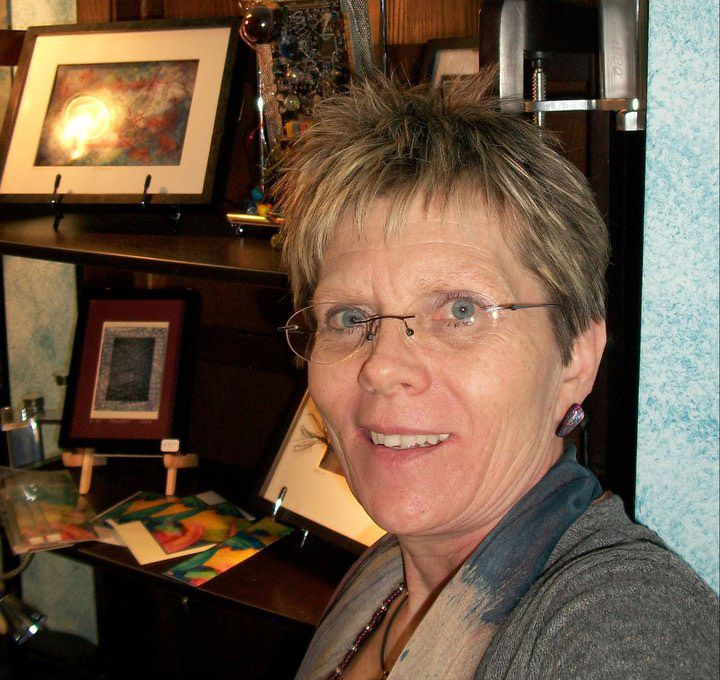 Susan Kloch Wendlandt is a professional studio artist in Arbor Vitae, WI. is very excited to be honored as the Artist of the Month at the Presque Isle Library during the month of July and August. Susan is also the instructor for the 2014 Discovery Arts Camp to be held at the Presque Isle WI. Community Center during the week of August11th through August 14th. A native of Chicago, Illinois Susan’s artwork often reflects a blend of that Chicago attitude, energy and perspective, sprinkled with a touch of the Wisconsin north woods flavor. Her work ranges from Intaglio printmaking, surrealistic charcoal drawings, photography, collage, paper sculptures, assemblages and mixed media. The theme’s of Susan’s work ranges from the nature of the north woods to artwork that speaks to the diversity of communicative formats and their impact on humanity. Wendlandt became an international artist through her participation in “The Bakers Dozen” an International Collage Exchange and Sale held in New Zealand in 2008. 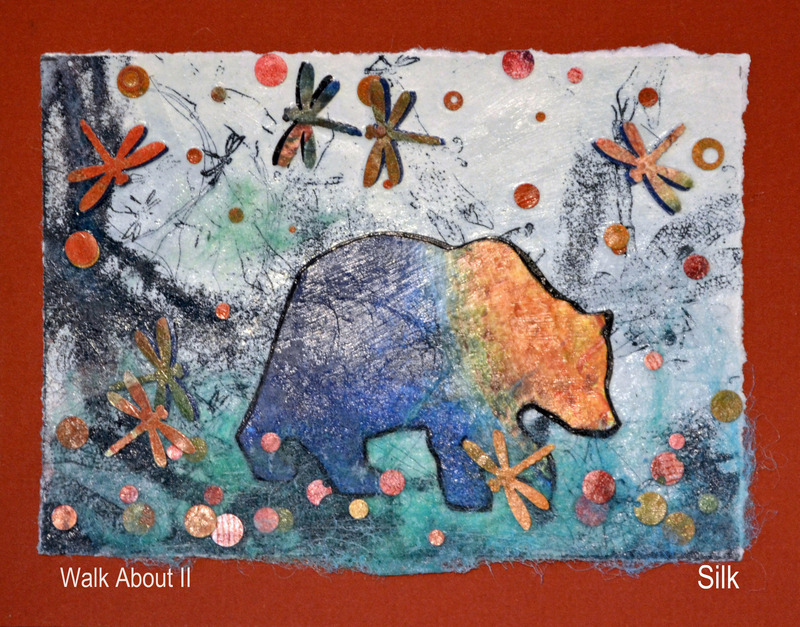 Susan’s collages have also been on exhibit in Poland, Germany and France and six of her Original Intaglio Prints are part of a permanent Mail Art Exhibit in Arcevia Italy. Susan will also be demonstrating her printmaking skills at Odonata Art Gallery located in Mercer, WI. during the NORTHWOODS Art Tour on July 25th,26th and 27th.. Presently Susan Kloch Wendlandt is the director of Art Gallery 450 located at the UW Marshfield /Wood County campus. Susan’s also a professional studio artist, located in Arbor Vitae , WI. and has been a member and public relations chairperson of the Manito Art League, Organization since 2004.